If you are looking for a set of high quality tyres for your construction vehicles, then you came to the right place. Ecomega, one of the leaders on the international tyre market, has created a new set of forestry tyres that would make your construction operations more efficient, anytime and anywhere. Thanks to many years of thorough research, Ecomega’s experts have used the best technologies currently available on the international market, to design the best and most efficient set of Ecomega forestry tyres. Exceptional performance, maximum stability and safety are guaranteed anytime and anywhere, even while operating under the most challenging environmental conditions worldwide. One of the best features of Ecomega forestry tyres is their enhanced and robust tread design that guarantees maximum traction at any time, even while operating on the most difficult types of surfaces, such as wet or muddy soils. With Ecomega forestry tyres you are in safe and reliable hands anywhere and anytime. New tread compound ensures maximum resistance to all sorts of accidental impacts and damages, including cuts and ruptures. Maximum safety is guaranteed at any time, especially while operating on the most challenging types of surfaces. Reinforced sidewalls contribute to puncture proof performance and longer tyre life over time. 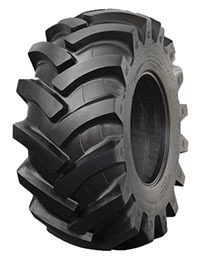 Ecomega forestry tyres ensure maximum comfort for the operator, by efficiently absorbing all sorts of vibrations and noises during different construction operations. Your construction vehicles have never been as efficient and safe, thanks to Ecomega forestry tyres. Thanks to many years of thorough testings and research, Ecomega’s experts have engineered a new set of high quality forestry tyres. If you are looking for the best and safest set of forestry tyres available on the international tyre market, Ecomega has the best options for you. 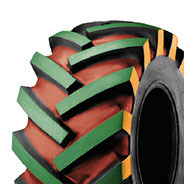 Ecomega forestry tyres guarantee excellent productivity, maximum stability and safety anytime and anywhere.